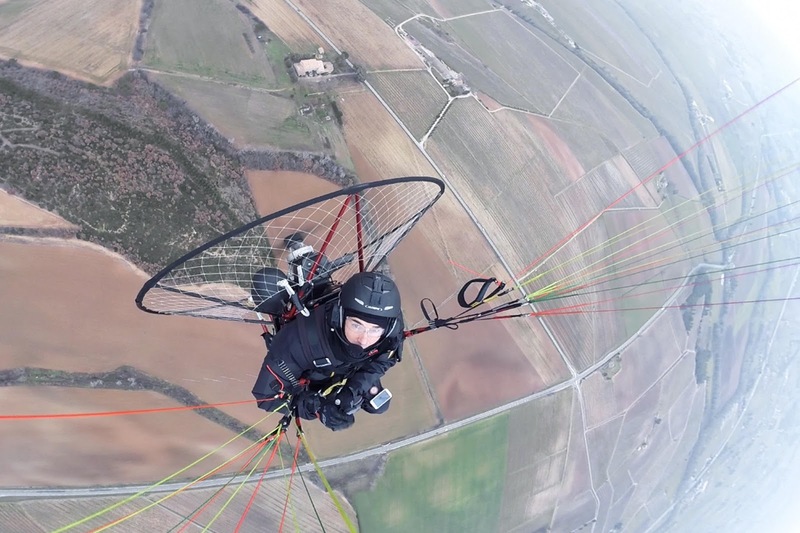 Suspended above fields - Flying at around 400 metres altitude over wheat fields and vineyards east of Aix en Provence. There is a thick cloud cover above me with 10km/h winds and the air temperature is 5 degrees Celsius. After take off a quick look around to check the suspension cords and the wing is part of safe flying, any problems found that cannot be fixed means landing.